This Leyland bus was new to the Metropolitan Omnibus Company Ltd in October 1949, being one of a small batch of similar buses purchased as part of its post World War 2 expansion, and to replace older units which had seen heavy service during the war years. 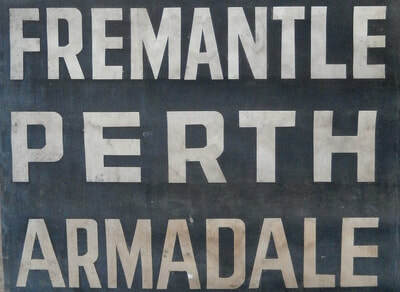 It was initially used on the busy Perth Fremantle - Rockingham services. 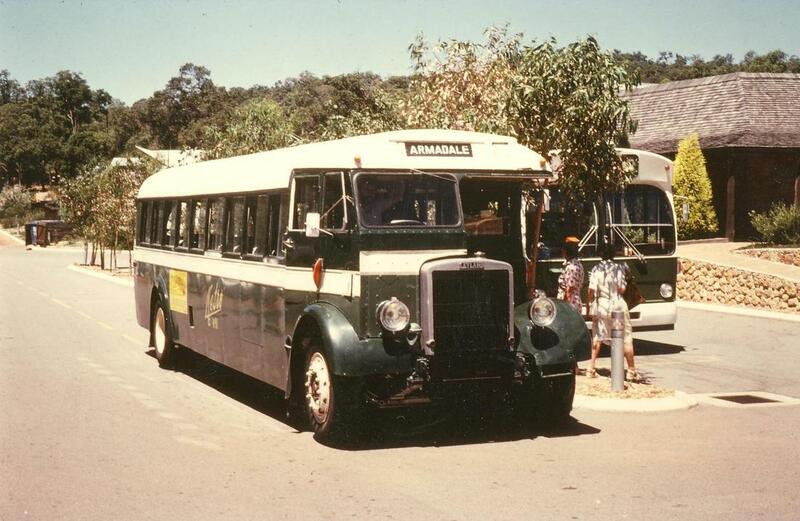 In 1958 the State Government formed the Perth Metropolitan Transport Trust to take over the operation of Perth buses from the Tramways and the private companies, as many of the smaller companies were unable to satisfactorily maintain and upgrade their fleets. Metro Omnibus Co., was one of the first companies to be take over on 31 August, 1958, and the MTT fleet adopted the Metro livery and designs. 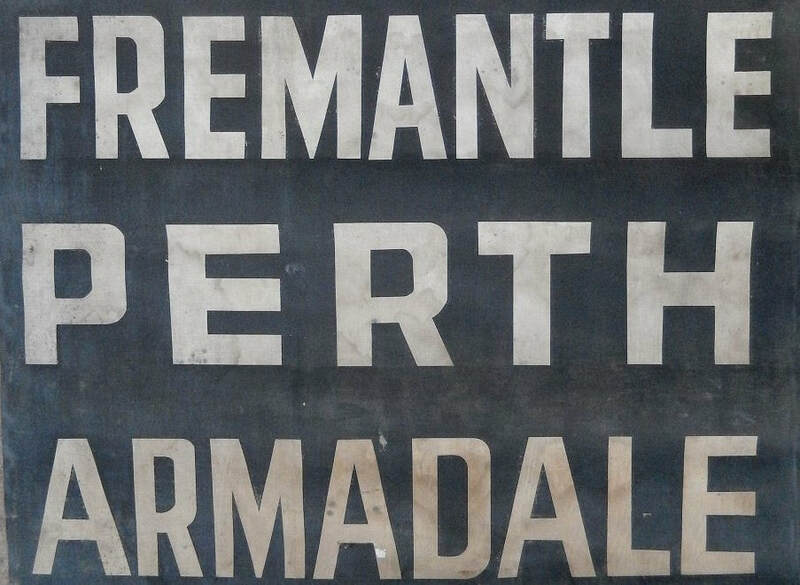 No 81 was allocated to the Armadale depot until withdrawn from service in May, 1972. 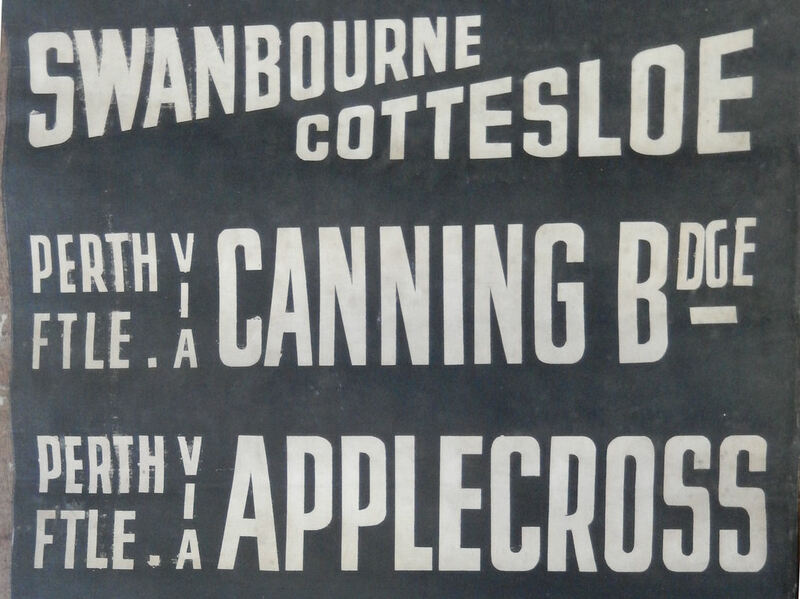 ​ Shortly afterwards it was donated by the MTT to the predecessor of the present owners, the WA Electric Traction Society, for preservation. 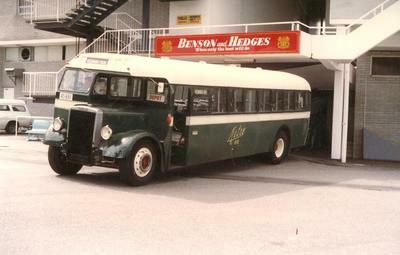 Some minor bodywork repairs and full external repaint were carried out in connection with the February 1995 public unveiling of Metrobus as a new trading name for the MTT (later to becomeTransperth). 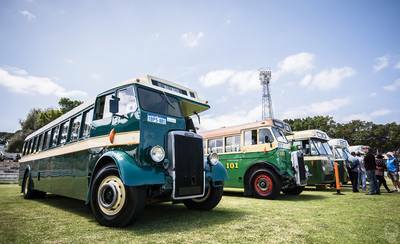 Manufacturer: Leyland Motor Company, Leyland, Lancashire, UK. Type: Cab alongside engine (half cab). 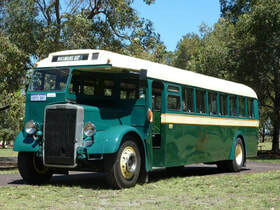 Engine: Vertical front mounted Leyland O.600 6 cyl 9.8 litre diesel. Transmission: 4 speed constant mesh gearbox with synchromesh on 2nd, 3rd, & 4th, ratios. Worm Drive differential. Brakes: Drum type, vacuum operated triple servo. 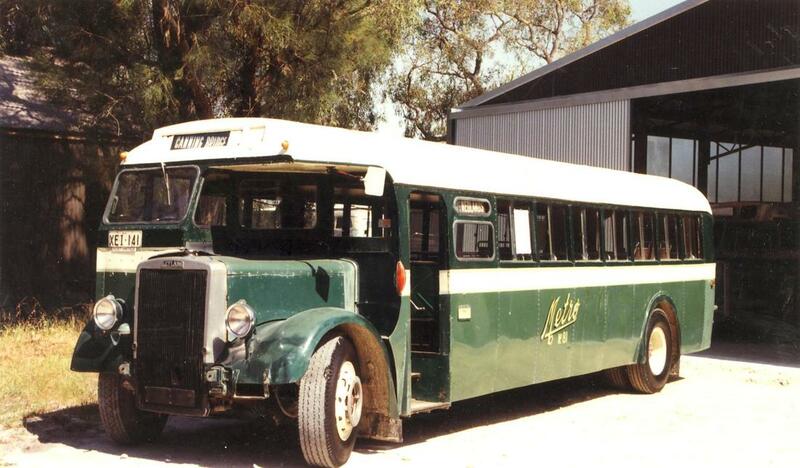 Manufacturer: Boltons Pty Ltd, West Perth. Seating: 40 adults (B40F con guration). 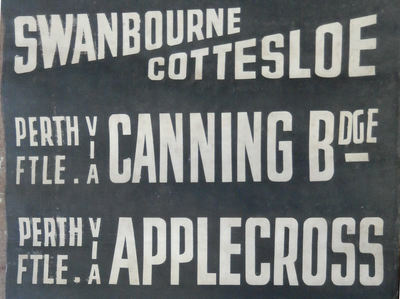 Unladen Weight: 7 tons 7 cwt approx. 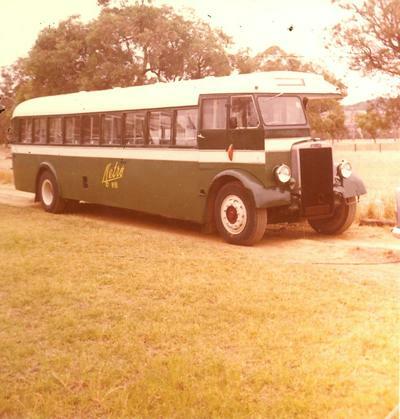 1949 Leyland Tiger OPS4/1 (Metropolitan Omnibus Company #81), March 1974. 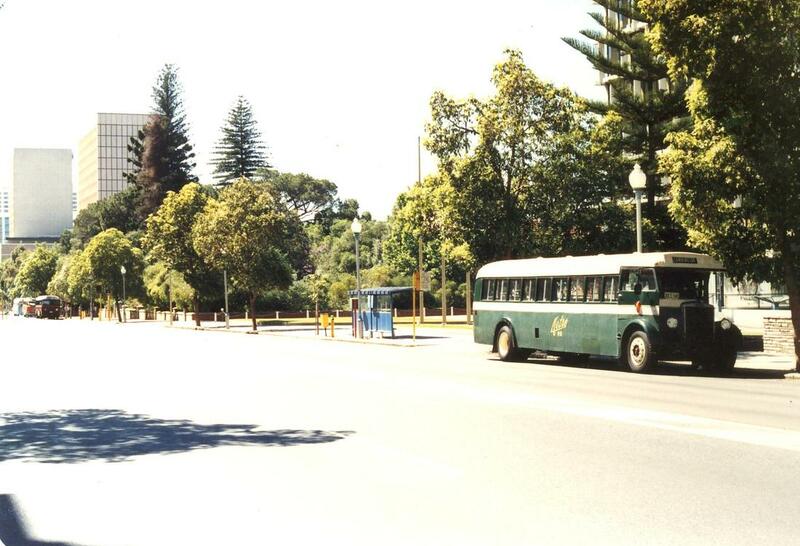 Metro 81 in St Georges' Terrace November 1985. Metro 81 at Gloucester Park 1983. Metro 81 at BPSWA workshop, Whiteman Park, 1993. Metro 81 in service in Armadale in the foothills of Perth. Metro 81 in service on St Georges' Terrace, Perth. Metro 81 on display at Britfest October 2017. Each Tuesday 08:00 to 13:00 at the Whiteman Park workshop. 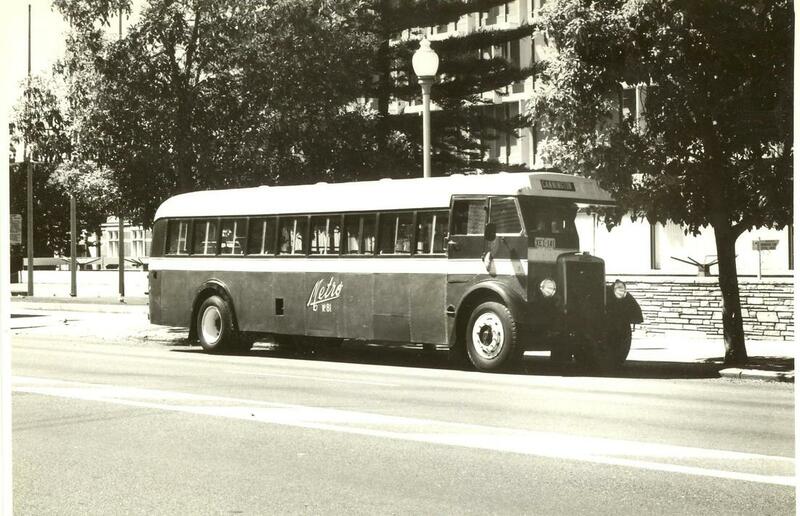 To tour the bus collection or see the BPSWA workshops in action any Tuesday, click the "Contact Us" button below. Visitors and new volunteers are welcome. Any gift made to BPSWA of $2 or more, is tax deductible (within Australia).